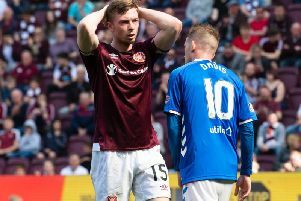 Hearts centre-half John Souttar has been called into the Scotland Under-21 squad for European Championships qualifier against the Netherlands. Souttar is joined in the squad by fellow Jambo Liam Smith, although the full-back is currently out on loan at St Mirren. The match against the Dutch on Tuesday, September 5 at the Paisley 2021 Stadium will be the Scots’ first match in their bid to qualify for the 2019 finals in Italy and San Marino. Scotland Under-21s are in Group 4 with the Netherlands, England, Latvia, Ukraine and Andorra.